Visit one of the most interesting "Tamu" in Sabah, set in Kota Belud, home to the "Cowboys of the East". A weekly event, the Kota Belud "Tamu" is a colourful market of hawkers, vendors, farmers, fishermen and cattle breeders coming together to trade and as a meeting place for friends and neighbors. You may even catch a glimpse of Bajau horsemen in their splendid finery and traditional costume trading their home-made swords. 1700 HRS Depart from Hotel and proceed to Kota Kinabalu city for shopping and explore the varieties of shopping complexes from Malaysian to International products. 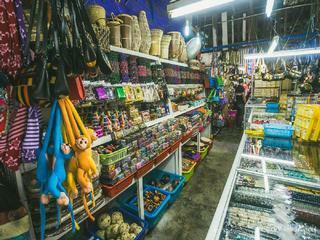 Browse around shopping complexes and the handicraft market and maybe you might find something for yourself. 1900 HRS After much walking and bargaining, depart for the City's outlets. Mention food and there'll be a host of recommendations. From fresh seafood to local fruits, you are definitely in for a treat. Sabah's palate includes authentic Asian flavours from Malay, Chinese, Indian, Japanese, the Philippines to local ethnic specialties. 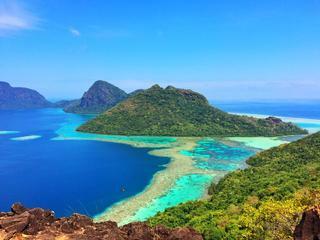 Make your way to the district of Kuala Penyu and hop on a boat to Pulau Tiga! The island’s claim to fame is none other than being the first ever ‘secret’ location for the hit reality series, ‘Survivor’. 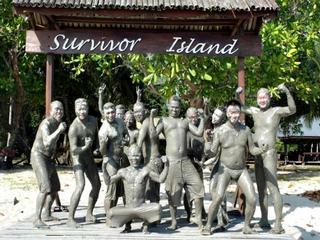 Hence, many refer to Pulau Tiga as Survivor Island. Located just 10km off shore on the West Coast of Sabah, you can enjoy a day trip to the island but many recommend spending at least a night or two. There’s plenty to see and do here: spend the sunny days swimming or snorkelling in its surrounding clear waters or go kayaking. Pulau Tiga is also famous for its therapeutic natural volcanic mud. Looking for some wildlife? Say hello the island’s famous residents: snakes! Facilities on the island include a restaurant and camping site. A great way to welcome you as we take you on a tour in 'The Land Below The Wind' the capital city of Kota Kinabalu, Sabah, Malaysian Borneo. 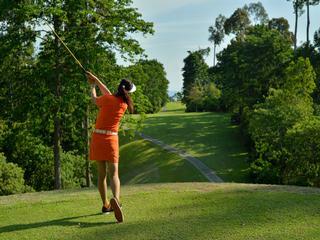 A drive tour of the city where you will visit some historical sites and interesting places in KK ! 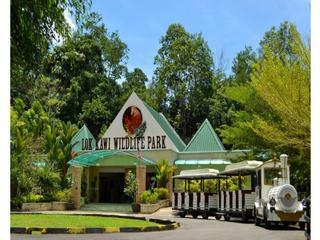 After the tour in the city, prepare your cap as we bring you to Lok Kawi Wildlife Park, where it's run by the Sabah Wildlife Department under the Ministry of Tourism,Culture and Environment. Here you will have the opportunity to see exotic and some endangered species in their enclosure. There is also a small botanic garden in within the park. You will see various kind of flowers where they were brought from all over Sabah. There is also an aroma and therapeutic garden within the botanic garden. They also provide shaded picnic areas so you can relax and take a rest to enjoy mother nature. 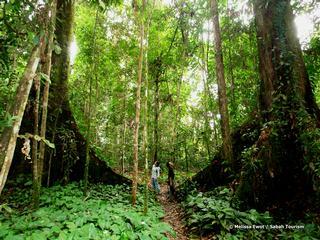 Gunung Mulu National Park was designated as a UNESCO World Heritage site in November 2000. 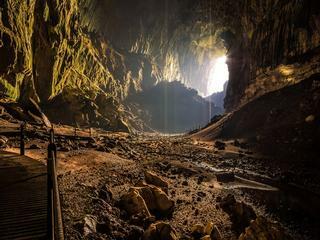 Scenic trip discovering Mulu National Park’s collection of rare birds, wildlife and exotic plants and the renowned Mulu Caves definitely entices your senses and leaves you wanting more. 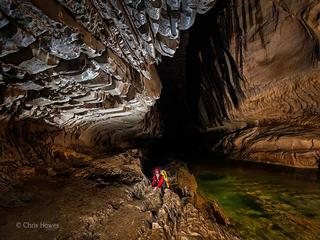 For those who wants to experience the essence of what Mulu has to offer with shortest stay. Beware that our company shall not be liable and refund for any unperformed tour due to flight delay or flight cancel. For those who wants to dig deeper than others do, this is the way to go. Third day can be replenished with strolling on botanical heritage trail or unwind in resort or try out some other optional activity. 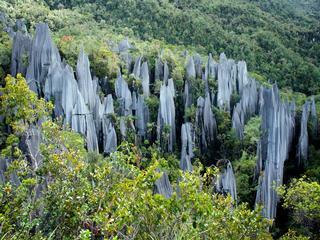 Gunung Mulu National Park was designated as a UNESCO World Heritage site in November 2000. This scenic trip discovering Mulu National Park’s collection of rare birds, wildlife and exotic plants and the renowned Mulu Caves definitely entices your senses and leaves you wanting more. The most standard tour plan packaged with well-known four show cave and bat mass exodus. You may optional to add on “canopy skywalk tour” or “night walk” to fulfill your wanderlust.